Perhaps you've figured out by now, we're city girls. We spend our days pounding the streets of the concrete jungle, hustling to get it done. Although we come from lands of clean air and sunshine, we've grown to love the caverns of New York. But sometimes even we need to escape to the vastness of the great outdoors. 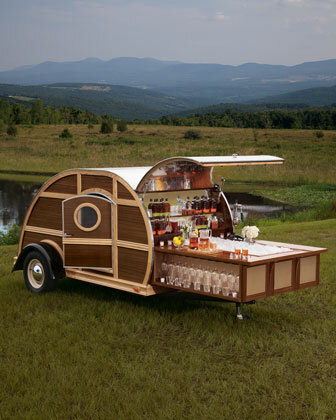 Fortunately, we have an a woody party trailer to accommodate all of our urbane cocktail needs, supplied with one of our favorite tipples, Bulleit, as we are true lovers of their Rye. Designed by Brad Ford, detailed with reclaimed bourbon casks and Moore & Giles leather. This beauty also sports a flat screen, state of the art sound system, and a slide out Bar lined with copper. Camping is really tough round these parts. 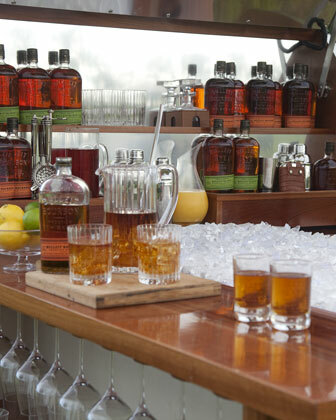 After a hike through the rugged wilderness, what is better than a proper cocktail? Want one? They cost only $150,000. Want more? 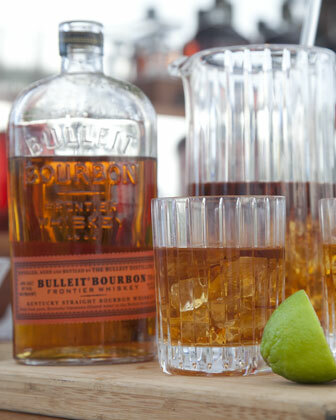 Watch the video of the Bulleit Woody Party Trailer.